President Donald Trump’s administration is preparing to reverse a Barack Obama-era ban on the importation of elephant trophies from Zimbabwe and Zambia to the U.S., ABC News reported on Wednesday, in a remarkably petty attack on rules intended to protect species registered under the Endangered Species Act. According to ABC News, a U.S. Fish and Wildlife official confirmed the proposed rule change, which is officially intended to reflect new information from in-country officials that “hunting actually benefits conservation for that species.” As Newsweek noted, initial announcements from the Department of Interior “does not include research that supports that view.” But the department did tout “economic benefits that result from U.S. citizens traveling to foreign nations to engage in hunting” as well as benefits to “human populations” from American visitation. Fish and Wildlife originally implemented the trophy-importation ban in 2015, citing its “inability to determine that the killing of the animal whose trophy is intended for import into the United States would enhance the survival of the species in the wild.” As National Geographic noted at the time, African trophy hunting is ostensibly intended to prevent poaching by providing economic support to locals, though “the money from hunt fees that trickles down to needy villagers is minimal.” It added that Zimbabwe and Zambia, as well as six other countries, allow sport hunting regardless of the decline in elephant populations, and that research suggests encouraging conservation-friendly tourist activities would better promote the survival of the species. 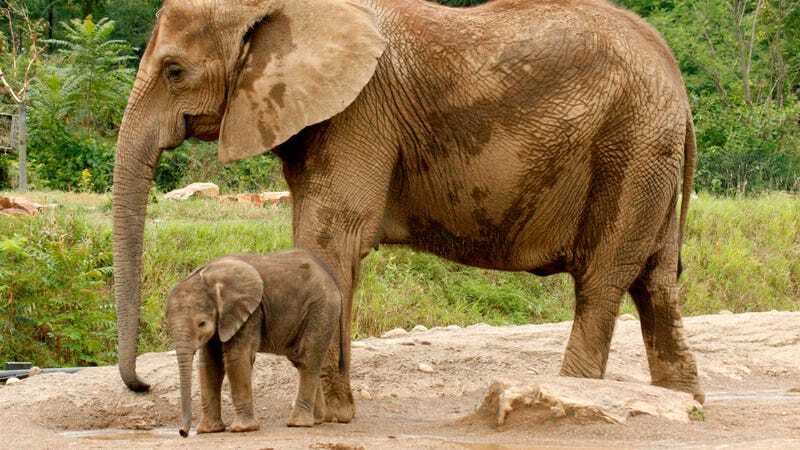 As ABC News noted, savanna elephant populations dropped 30 percent from 2007 to 2014 in 18 African countries. Research from Democrats on the House Natural Resources Committee has suggested that rampant corruption and poorly managed wildlife programs mean the fees from big game hunting tend to dissipate without helping the species involved, and in fact hunting speeds up the extinction of endangered species. As the Washington Examiner noted, Interior Secretary Ryan Zinke recently formed a council which is exploring once again allowing the importation of trophies from other animals including lions. Sport hunting is an activity primarily associated with the wealthy, with Scientific American noting that the intent of the activity seems to be for rich foreigners to signal their privilege and influence. That description would seem to apply to the president’s sons, who are really fond of showing off photos of themselves posing alongside dead exotic wildlife, but hey—surely that or Zinke’s attachment to a vision of conservation that puts its fetish for big guns first couldn’t have played a role in this decision, right? Update 11/17/17: On Thursday, White House spokesperson Sarah Sanders emphasized that no “finalized” announcement had been on the trophy policy, seemingly walking back on the Fish and Wildlife spokesperson’s confirmation to ABC News.